They aren’t worried about the working stiffs who are the ones who supported Harley back when it was struggling. Anyone who drops 36 large for a bike would never turn a wrench to even add highway pegs. Yep, they want the folks who will bring it back to the dealer for every bit of service and every accessory that they add to it. Only problem, besides finding folks with that kind of money, it will also take six months to get to the recommended 2,500 mile services. It’s simple. Too bad Harlley does not get it. You can buy a 2010 Honda Gold Wing with all the same bells and whistles for $25,300 ………. 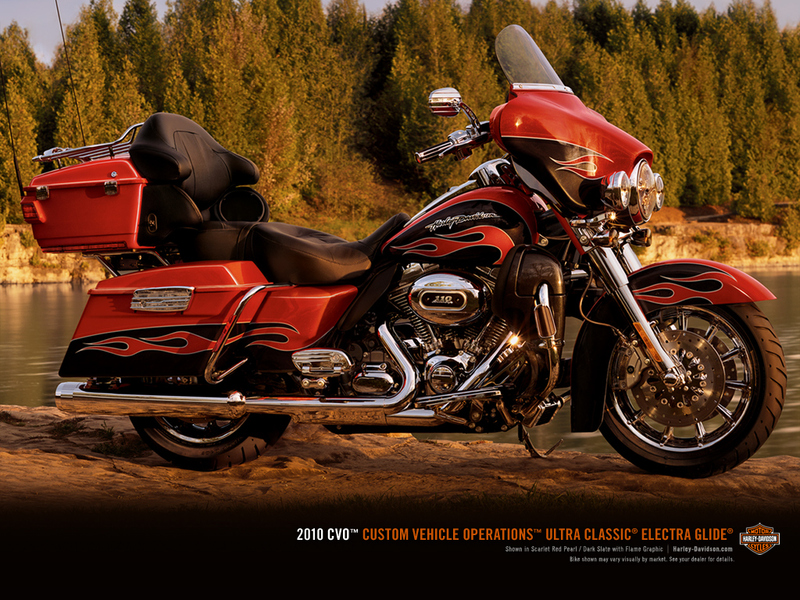 $10,000 or 30% less, however you want to look at it …… The CVO Electrica Glide and the new Trikes at $32K to $36K tell it all. Their V-Twins are expensive and they did away with their Sport bike (Buell). Gee I don’t know why in the worst recession since ’29 H-D is having a hard time selling bikes???? But your right, their are pretty! H-D needs to get back to selling a goood solid basic bike and letting the rider customize it as H-D sells all the chrome crap a person couod want to hang on a bike. Took delivery of my 2010 Street Glide just today. Bought from a low mark up dealer that was running an extra $2,000 off promotion. My cost was $19 more than I paid for my new Road King back in 2000. I feel like I got a deal and contributed to the economy’s rebound :<) . After pipes, chrome, motor work and other accessories, I still wont be in it the cost of a CVO. I'm happy…..